www.southerncadoodles on the date of ________________this contract is only good for the original owner and is not transferable. Their own folder with all health records. Their first shot - a 5-1 combination pup shot given at 6 weeks. They are wormed with Panacur or Safeguard. Dog food that they are eating and vitamins. A blanket that smells like Mom and a toy. You have 72 hours to take them to your vet to have them checked. If you do have a problem you need to send a written vet report of said problem. I have the option of having a second opinion with my vet at my expense. We guarantee the pup to be free from Parvo for 7 days from purchase. They do not come with breeding rights. If you want breeding rights you would have to purchase them. If you do breed your dog without purchasing breeding rights you will void your guarantee. You must spay or neuter your dog by the age of 6mo and send proof to Southerncadoodles LLC by the 7th month. A two year guarantee against any genetic health problems such as eye or hip problems. This starts from the date of birth and is only good for the original owners. We do not guarantee coat type or shedding or allergy problems. The dog must be raised according to your puppy instructions. Not over exercised or allowed to become over weight. The pup must be fed Life's Abundance brand "all ages dog food" and supplemented with NuVet puppy vitamins. I will send instructions for ordering before you pick up your puppy. The pup must be kept on a schedule of vet visits and be current on all shots and worming's. If something should happen to your pup you will need to send me a vet certification of the problem. If there is a problem genetically with your pup I would give you another one. However, the vet bills would be your responsibility. We can not guarantee the size of the pup. We give an estimate from the size of the parents but we are dealing with genetics. 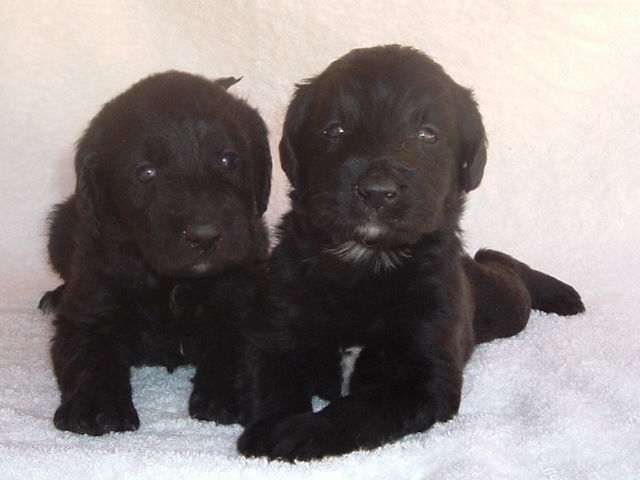 We do everything possible to insure that our pups are healthy and have no genetic faults. However we go not guarantee against parasites, coccidia, or Giardia. They are on a shot and worm schedule but these problems can be caused by stress and moving from one location to another. Only give them bottled water to drink for the first 3 days and slowly mix your house water in later. I would not ask you to return your beloved puppy if you did have a problem, but would replace him with another puppy of the same price and quality ASAP. If for some reason you are un-able to keep your dog in the future, I would like to be contacted so we can find your dog a new home. Please do not ever take your dog to the pound. We want to have happy owners and happy dogs!!!! Please print this out and keep a copy for your files.